I wash clothes at least 3 times a week for my family of 4. We bought this machine because our house is small and our utility closet where our water lines are isn't tall enough for us to by a stackable unit so we choose this Equator combo model. I bought this machine new 2 years ago (April 2008) and within 2 months it broke down the machine just kept filling with water the mechanism that registers that the drum was full had broken off 2 weeks & $150. later it was fixed. Last Saturday (April 3, 2010) it broke down making a dreadfull sound and when I opened the drum there was smoke and it burned right thru an article of clothing in the machine. The service technician came out and told me the rear gasket and an additional part needed to be replaced and it would cost $500. and the'd have to do the job at there shop which would take about a week. So I'm just done with it. I'm buying something else this time I will do my homework better before I purchase, I hope someone can benefit from my misfortune with this unit and honestly I'm amazed Equator is still in business the customer service is terrible. Join in and write your own page! It's easy to do. How? 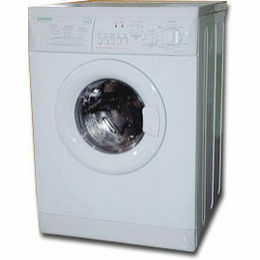 Simply click here to return to Washer / Dryer COMBO main page.